You might expect that in times of economic recession, such as Europe has experienced in recent years, mountain resorts might have seen less tourists. However, Morzine has experienced no let-up in demand. Morzine apartments and property in general have never been more sought after, and there is increasing demand for rental properties too. The resort is buzzing, and not just in the peak winter season. Summer tourism in Morzine is on the increase too, and every year sees new activities and events added to the "what's on" list. The French mountain resort of Morzine brings together a traditional Savoyard charm with access to possibly the best skiing and state of the art winter sports facilities in Europe. The resort, with humble beginnings as a small mountain village, has a real sense of community and has never lost its authenticity. Yet, with the Portes du Soleil ski area on the doorstep, it offers unrivalled skiing and first rate amenities. The Portes du Soleil ski area is the largest ski area in Europe. So the skiing is all taken care of, whatever level you feel you are. Lifts are excellent, and lift passes are tailored to suit you. If you only want to ski part days in Morzine, there is even an option to save your points and find yourself with a free day pass! Then there are snow parks for boarders and freestyle fans, plus a host of other entertainment and activities if you fancy trying something different. And when the snow isn't on the ground there is still plenty to keep you occupied in Morzine. The area is very popular with mountain bikers, walkers and climbers, and high summer is a great time to enjoy these sorts of activities. Spring brings with it rushing waters in the rivers that catch the melting snow, and so is the ideal time for adventure junkies to try white water sports. When the weather's good, why not take the kids to an adventure park where they can climb trees and whizz down zip wires, or enjoy a family visit to an Alpine farm where the children can take on the role of farmer? Autumn, when the air grows crisp and the nights draw in, is beautiful in the mountains. It's also the time to treat yourself to a relaxing, pamper day in Morzine's spa. Morzine is fabulous at any time of year! Morzine hosts an increasing number of special events year on year. There are ski and snowboard competitions and ice hockey matches to watch. Christmas sees a magical celebration that will enchant everyone who dreams of a White Christmas. And the fun doesn't stop when the snow melts. The Bastille Day festival is a fantastic explosion of pyrotechnics. And, throughout the year there are car rallies, motorcycle events, music festivals and village fetes. You might even catch a stage of the Tour de France nearby! Morzine may be traditional in appearance, but it is moving with the times. The super-fast cable car, the 3S, reduces the travel time from Morzine to Avoriaz to just four minutes! Then there is also a new high speed chairlift, the snowmaking facilities are improving, beginners' pistes being widened to make life easier for the not so skilled, and general safety improved for children's toboggan runs. Finally, up in Avoriaz, there's a fantastic water park with slides, pipes, rapids and tropical plants! So it's hardly surprising that Morzine will be going from strength to strength in 2018. The location of Morzine cannot be overlooked when considering the reasons behind its enduring (and increasing) popularity. 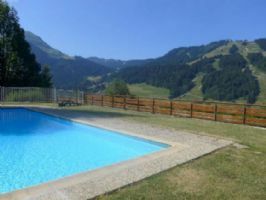 While some resorts are, frankly, something of a pain to get to from the UK, Morzine lies close to Geneva Airport and is therefore really easy to reach. You can take your pick from several airlines too. Chambéry Airport is another option if flying. Meanwhile If you prefer not to fly, don't worry, there are alternatives. If you can deal with the long journey by coach, there are services that run to the resort from the UK. Or you could choose to travel by train, with services getting you all the way to nearby Cluses by rail, and regular bus links from there to Morzine. Or, of course, you can enjoy the long but fascinating drive from the UK to the Alps. If you choose the last option, be sure to have snow tyres or snow chains handy if you're heading for Morzine in the winter. Of course, practical considerations like ease of travel aside, Morzine's appeal lies much in its inherent charm. Certainly, for some, an apartment in a high rise block set in a purpose built resort ticks the boxes. But for many, an authentic Savoyard village with pretty chalet apartments, a family friendly atmosphere and a traditional take on life makes a better backdrop for Alpine holidays. Morzine is simply beautiful. Morzine is also known for its lively yet friendly après ski scene. From great little restaurants like Les Vents d'Anges (French fare with a creative twist) to simple coffee houses such as Dotty's (fab for croissants, bagels and of course, coffee! ), Morzine has a lot to offer. Nightlife varies from the friendly Irish Haka bar with its famous happy hour and rock music evenings to the super trendy Paradis Discotheque, where you can really dance the night away in the liveliest company. More reasons to buy an apartment in Morzine! 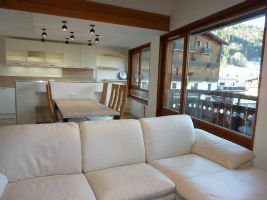 Several two bedroom apartment are available in this residence located at the foot of the Avoriaz cable car. 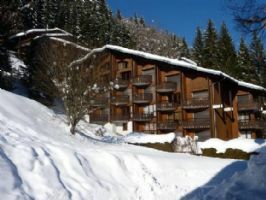 Located on the first floor of this small residence of just three apartments, this property is in the heart of Morzine. 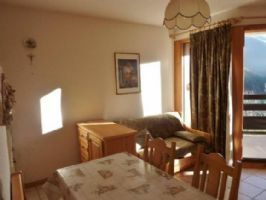 Spacious apartement in a quiet area of Morzine with two double bedrooms, near to the free ski bus route and a fifteen minute walk into the centre of town and the ski slopes. 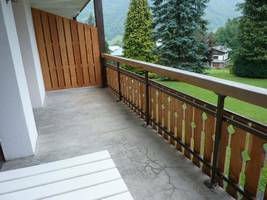 This 3 bedroom duplex apartment is on the top floor of a very sought after building with a lift in Morzine. 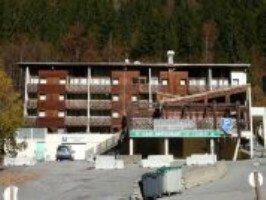 It is just a stone's throw from the centre, beside one of the Pleney ski slopes. The apartment has a floor area of 75m² and a south-east facing balcony with a spectacular view. The property is sold with a cellar and two underground parking spaces. 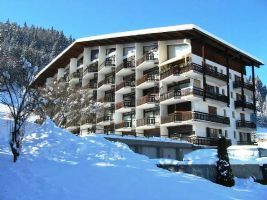 This apartment is just 1km from the centre of Morzine and a few metres from the free ski bus for access to the Avoriaz cable car. 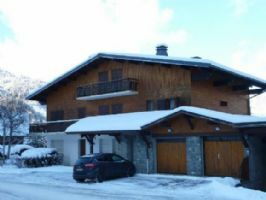 Just 50m from the Pleney slopes and the Tourist Office, this is an apartment on the second floor of a very popular residence building. It is a duplex apartment measuring about 100m² in all which has been entirely refurbished. The property includes a terrace and a sun room! Also a private car park and a cellar. A beautiful living room with sitting and dining areas and an open plan fitted kitchen, a large bedroom with an ensuite bathroom. A huge mezzanine with a sloping ceiling. 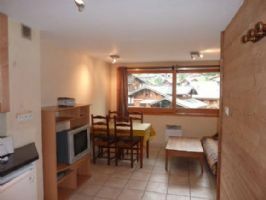 In the heart of Morzine, this apartment is a high quality construction in perfect condition.